After graduating he works with Kas Oosterhuis’ practice ONL on various international projects and tutors Master students at the Delft University of Technology. As project architect he has been responsible for the implementation of the ONL_Hungary satelite office. His contribution to the Budapest CET project has been awarded with the BIM experience award 2009. 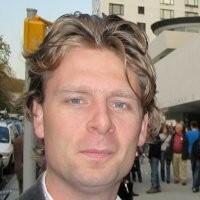 Marthijn has lectured at conferences and institutions world wide. During his student career Marthijn has taken the opportunity to develop in organizational and management aspects being board member in various committees.